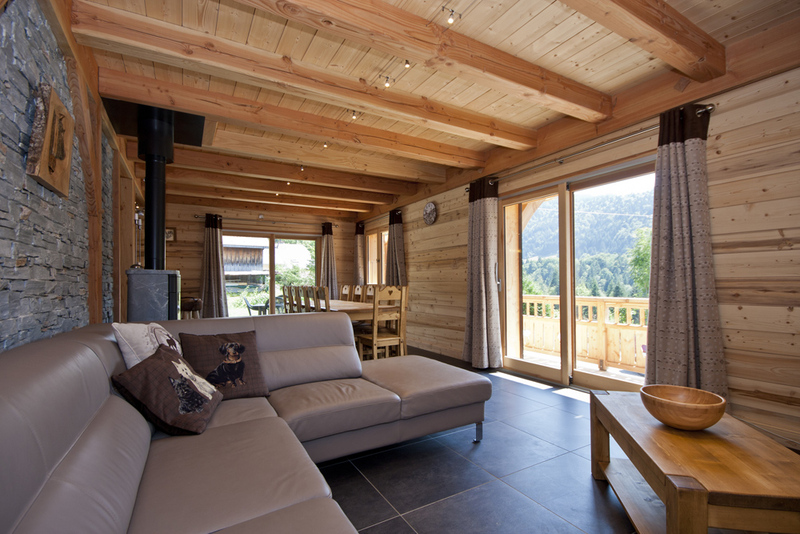 Chalet L’Hérens is the perfect luxury chalet at a great price. 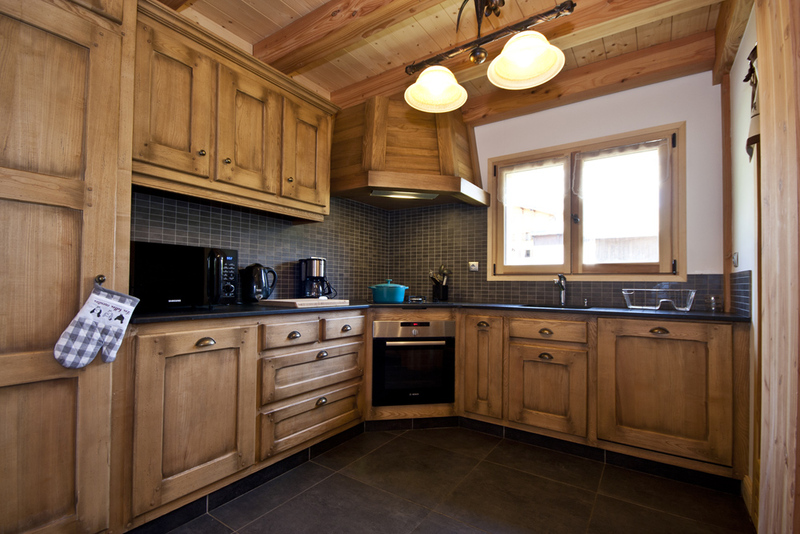 This chalet sleeps up to 10 people and is located within a short, flat walk from Morzine centre. 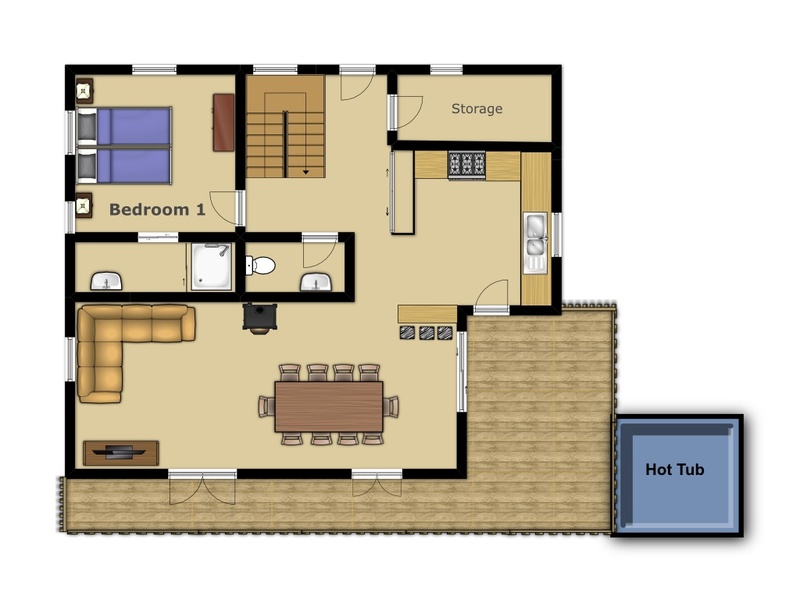 The chalet has 5 spacious bedrooms, log fire, under floor heating and a large open plan living/dining area all. 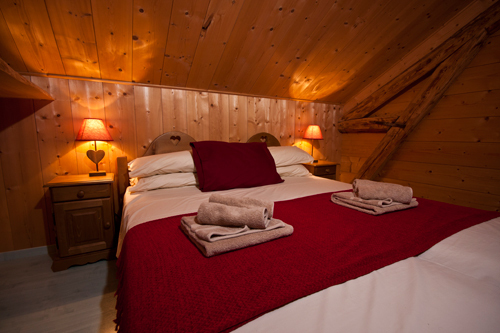 The chalet also boasts modern en suite bedrooms. 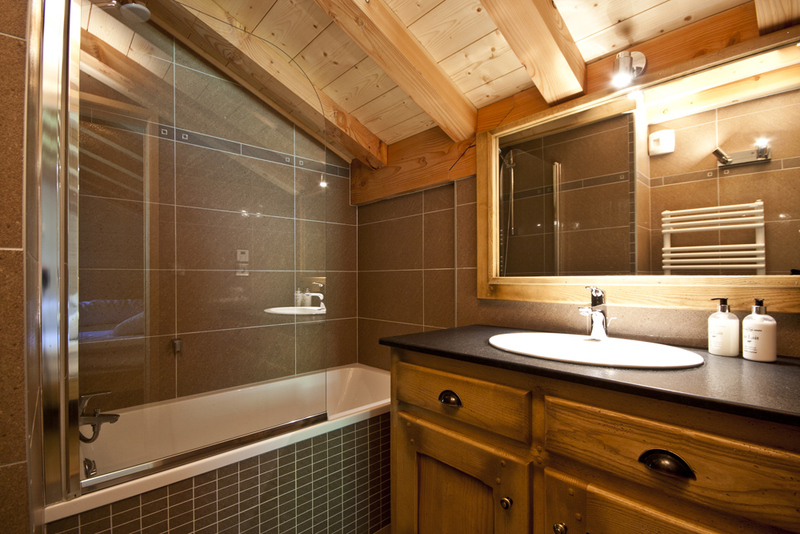 Essential for a luxury chalet is an outdoor Hot Tub with fabulous views of the mountains. 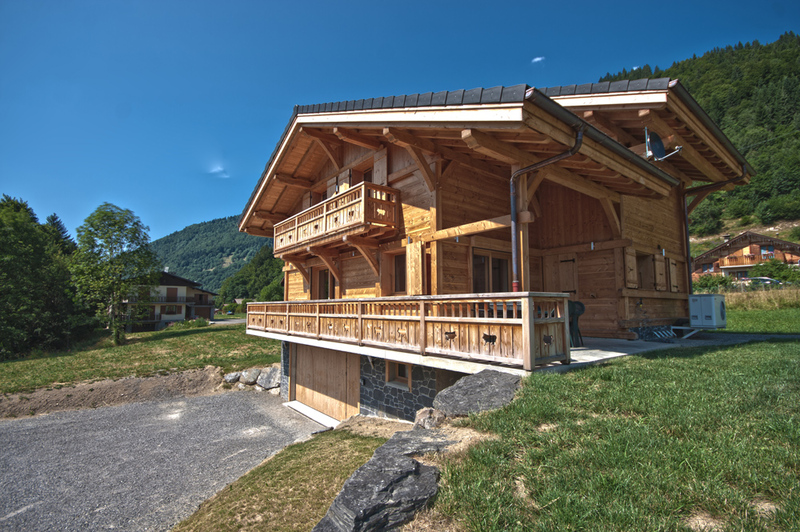 Chalet L’Hérens is the latest addition to Riders Refuge portfolio and one of our best. 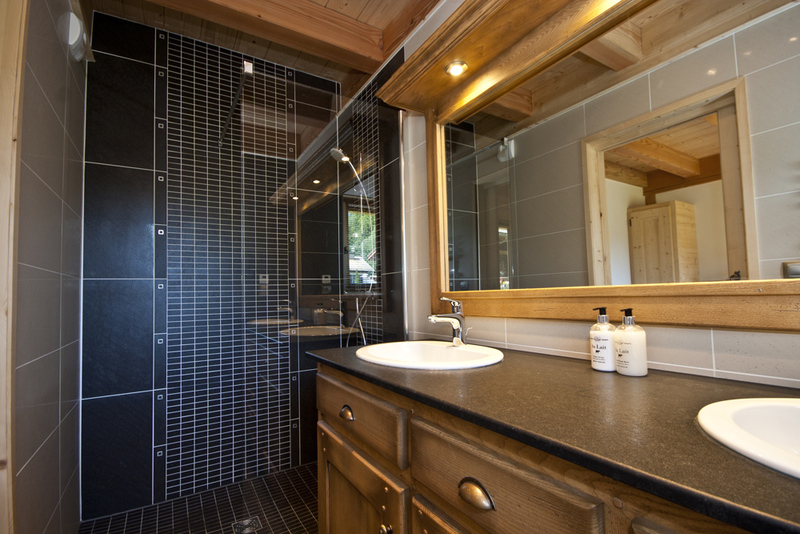 This luxury chalet was built in 2014 by a renowned local firm. 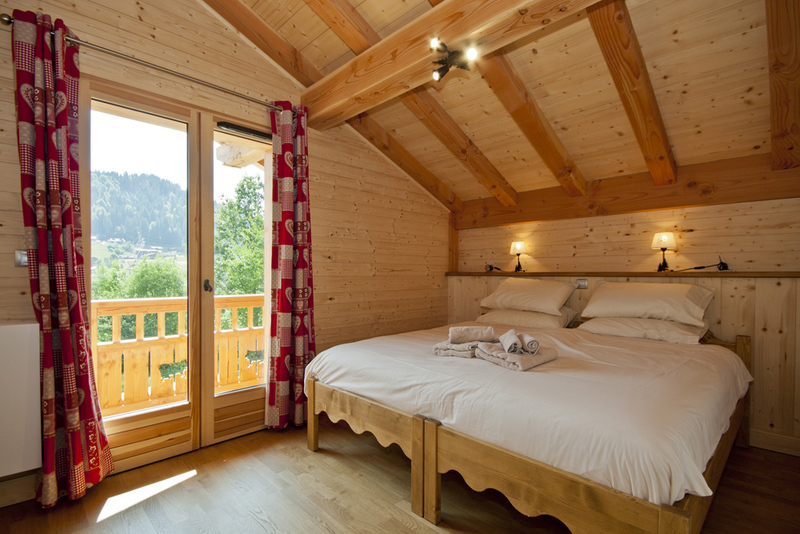 The chalet was built in the traditional alpine chalet style ensuring it retains all of the alpine charm you would expect. 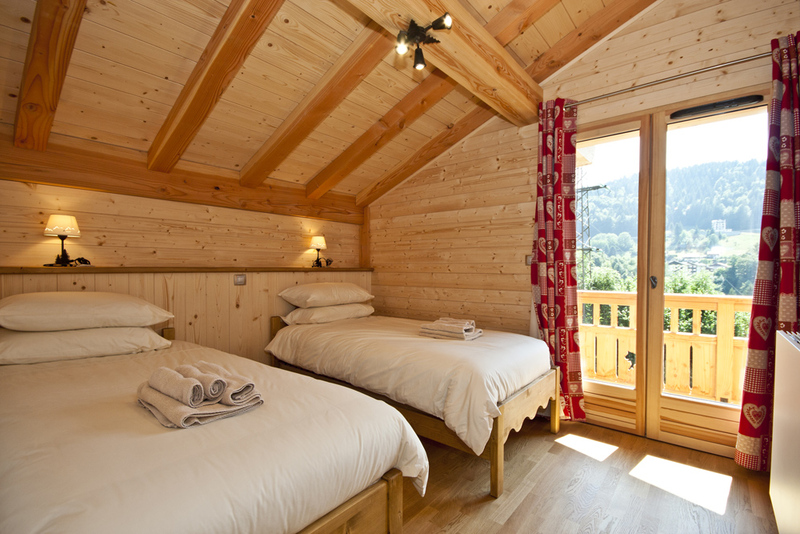 The chalet has five en-suite bedrooms, that can be arranged as double or twin rooms. 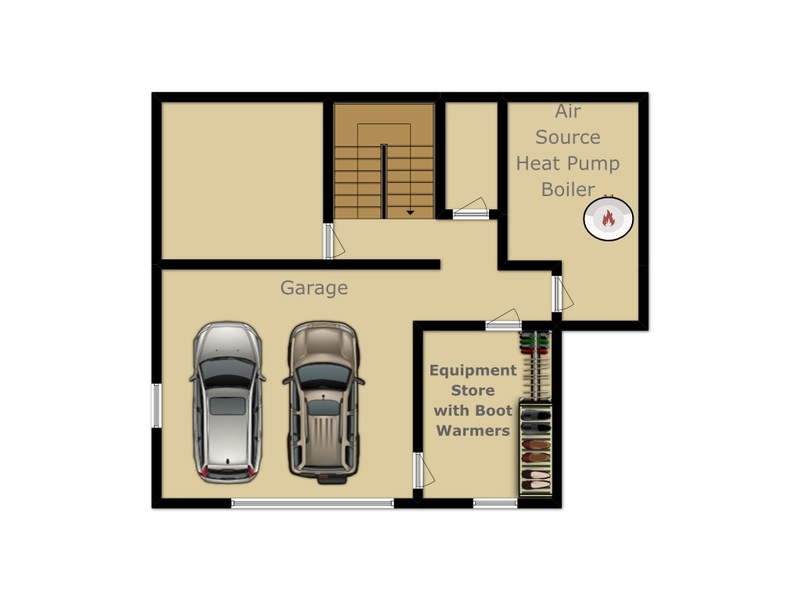 Two bedrooms have their own balcony and one bedroom has its own bath. The living area has plenty of comfy seating and a log burner perfect to relax in front of after a hard day on the pistes of Morzine. At the heart of the chalet is the large open plan living and dining area, where you will enjoy a home cooked food, unlimited complimentary wine with dinner and the opportunity to socialise with fellow guests. In the living area you can enjoy a night watching the flat screen TV with freesat HDTV along with a media centre containing loads of films. 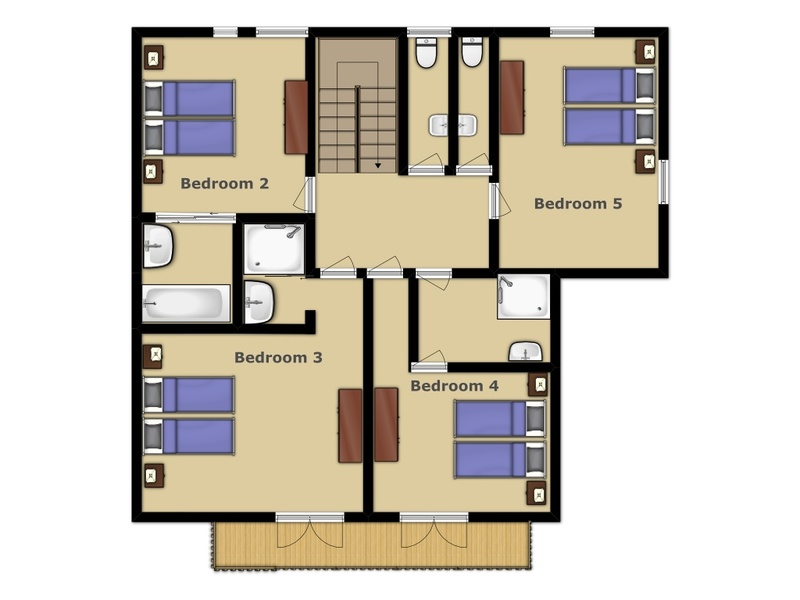 There is also a Wii games console and a selection of games, Wi-Fi internet access. 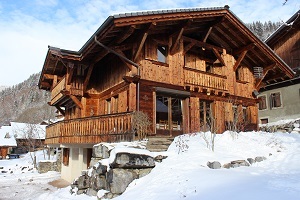 Chalet L’Hérens is in an ideal location. 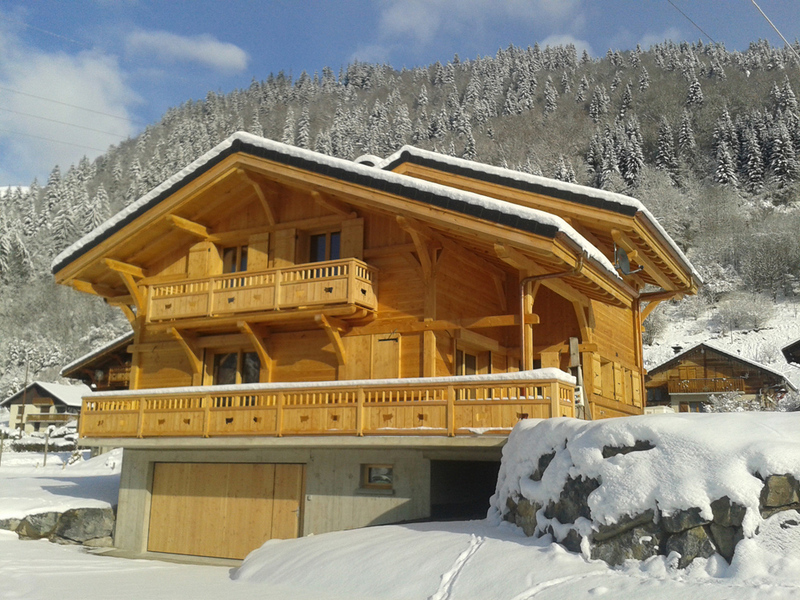 The chalet is situated just 10 minutes walk on the flat from the Super Morzine lift and Morzine town centre. There is a bus stop outside the chalet which services the Ardent lift for quick access to Avoriaz and Chatel. Across the road the bus stop goes to the Pleney lift in Morzine. We also provide complimentary shuttles to and from the lifts in the mornings and after 16:30 on an afternoon in our minibus. 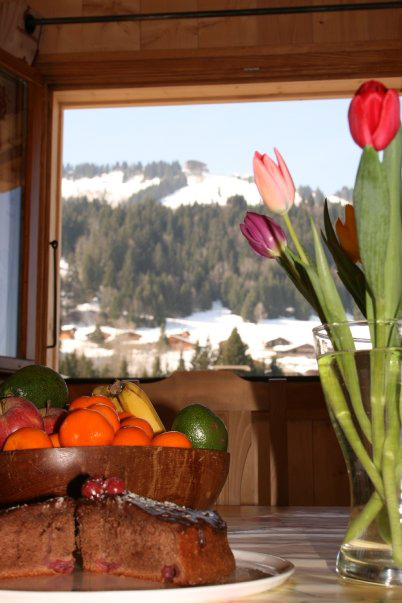 Like all our chalets Chalet L’Hérens is run on a catered basis. This includes a continental breakfast with a hot option. Homemade afternoon tea and a four course dinner with plenty of good quality wine. The chalet staff live out of the chalet and have two days off per week. On both staff days off breakfast will be provided on a self service basis. 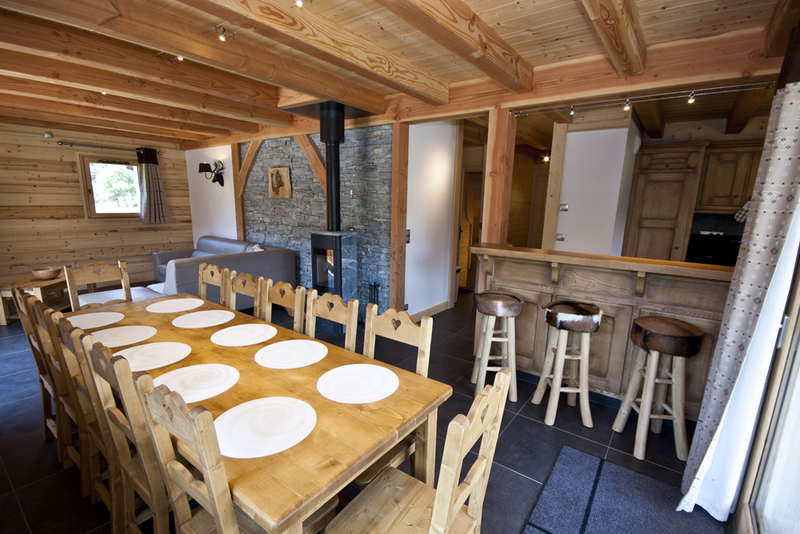 On the first evening your chalet hosts will prepare and leave for you a traditional savoyard dinner for you to serve yourself. 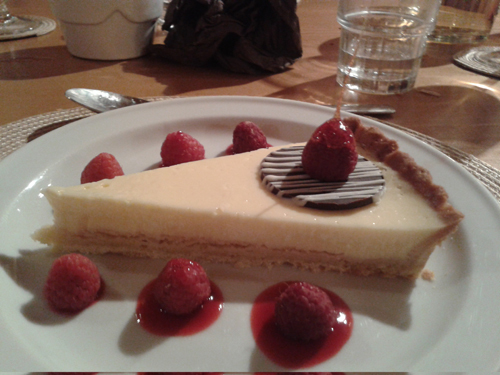 on the following evening you will have the chance to sample one of Morzine’s fabulous restaurants. We are happy to recommend and pre-book a restaurant for you. All the above prices are Per Person based on 2 people sharing. *FREE lift passes for children under 12 for every adult full price pass purchased.